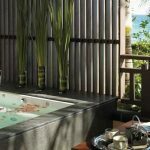 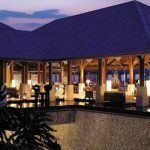 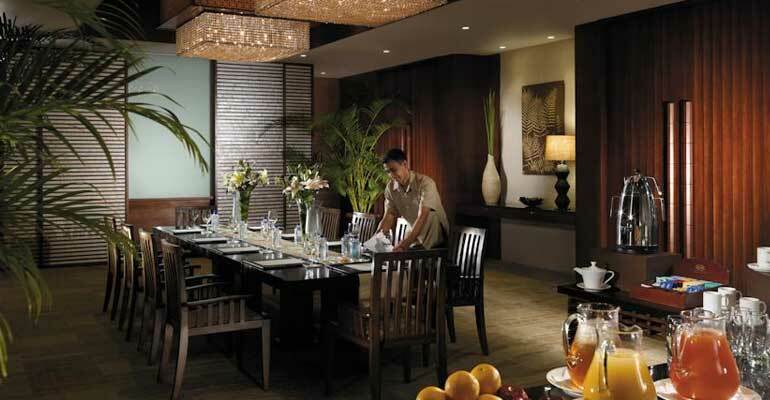 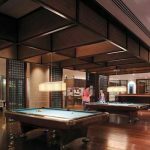 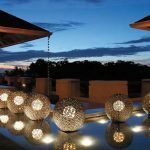 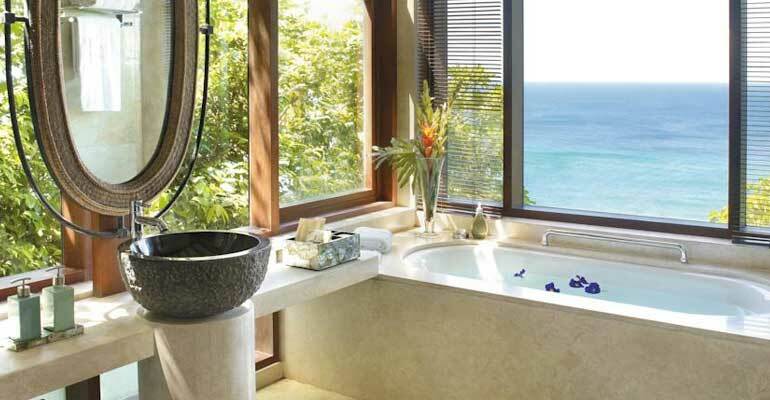 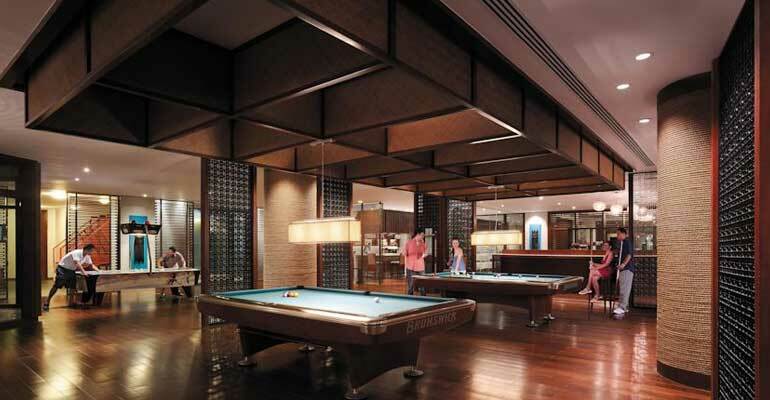 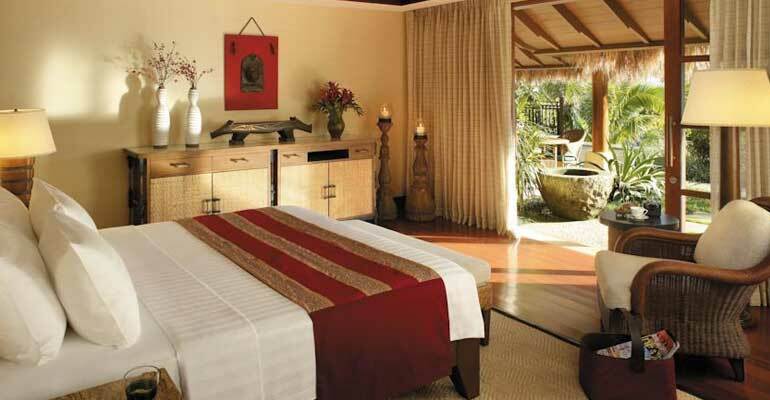 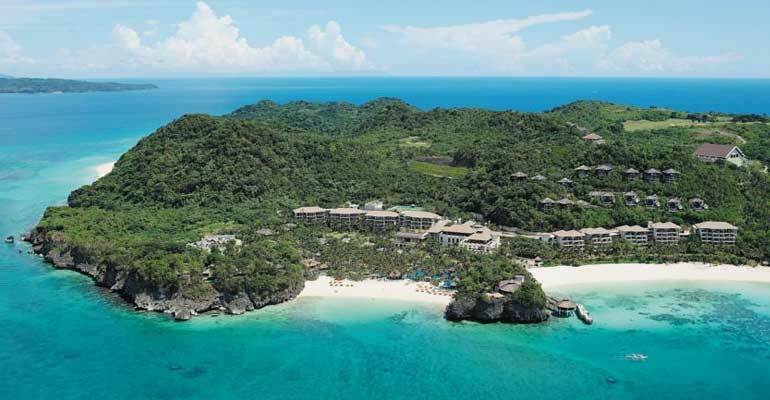 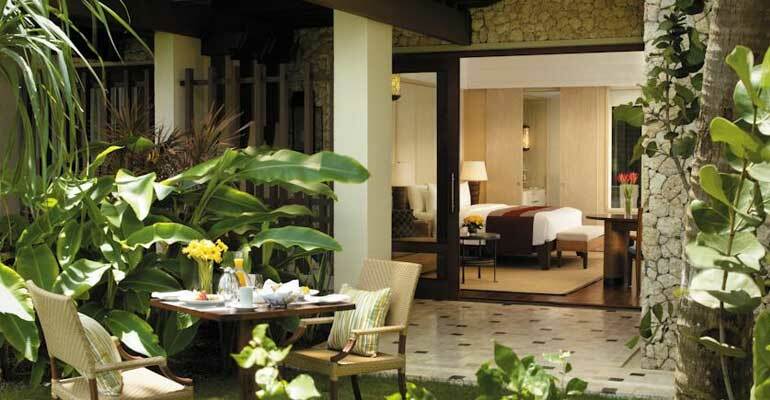 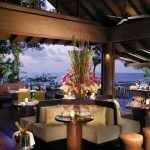 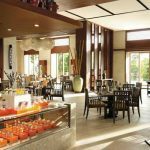 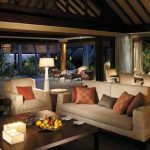 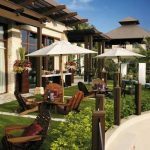 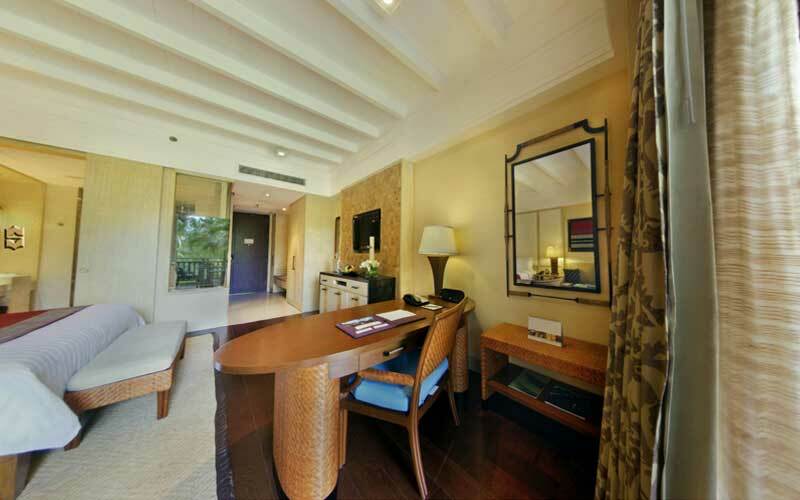 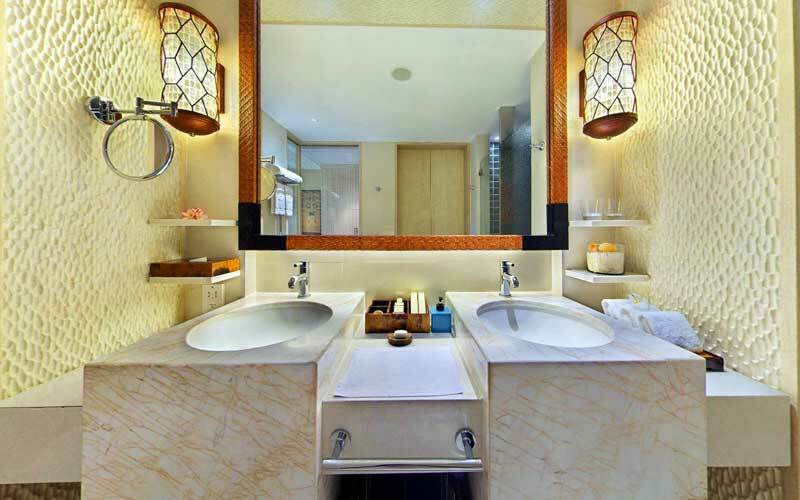 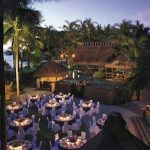 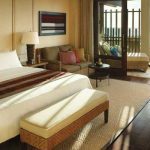 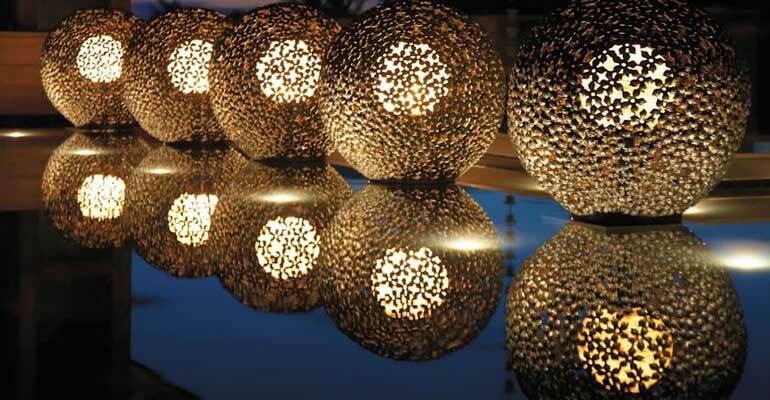 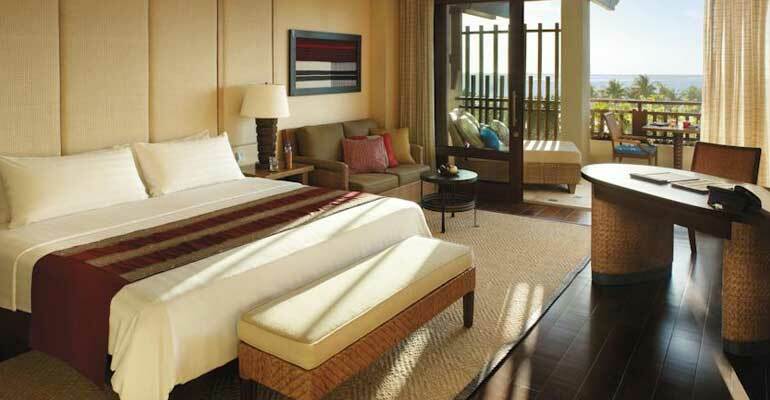 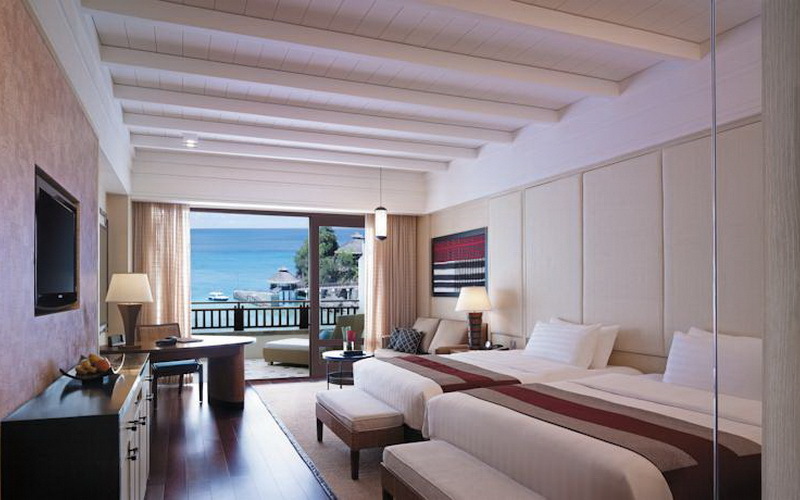 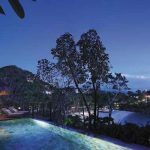 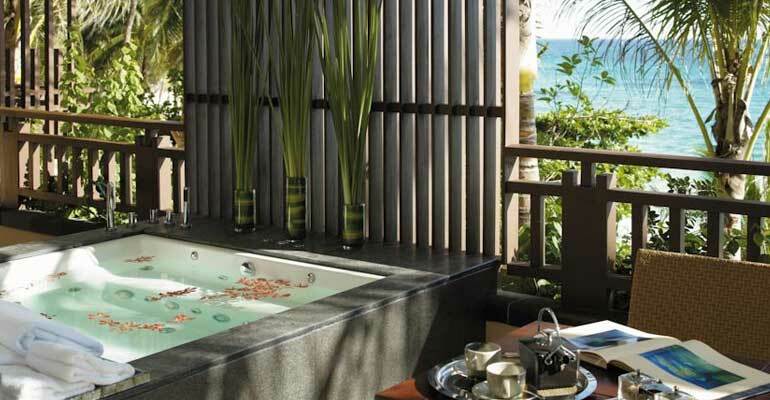 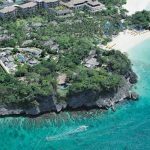 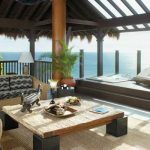 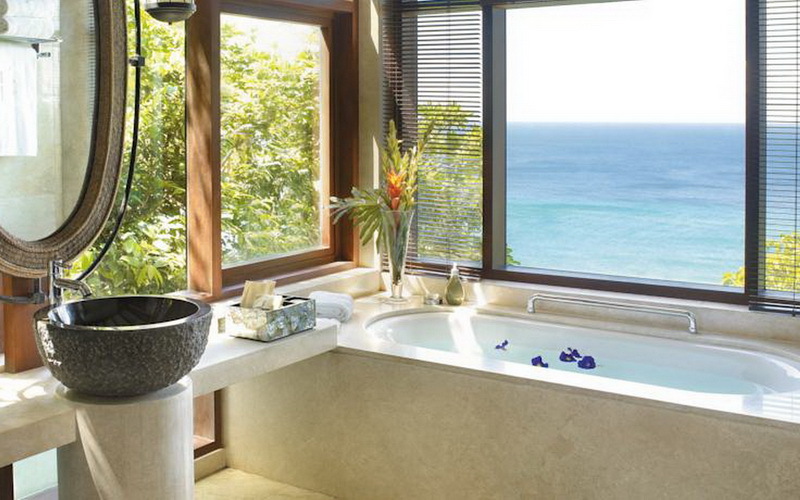 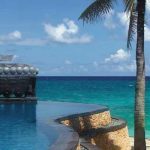 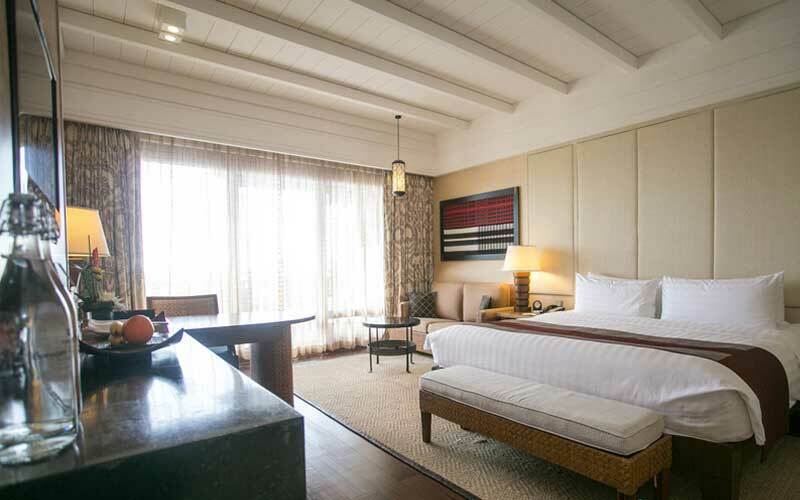 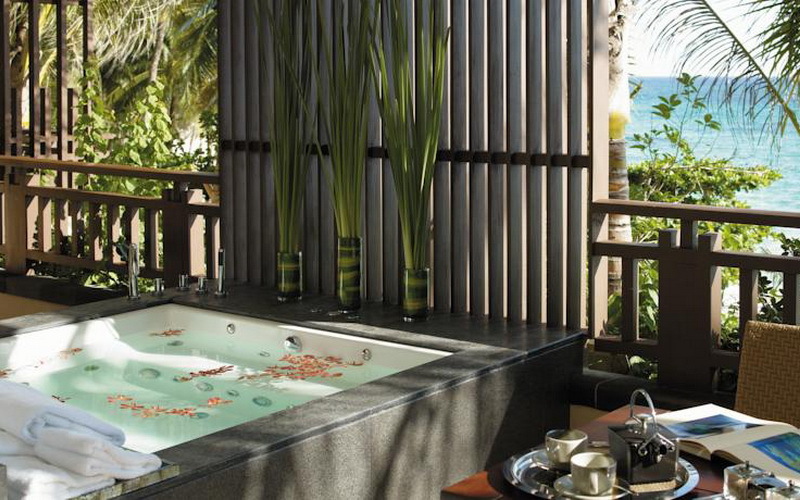 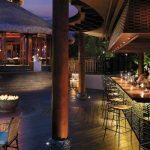 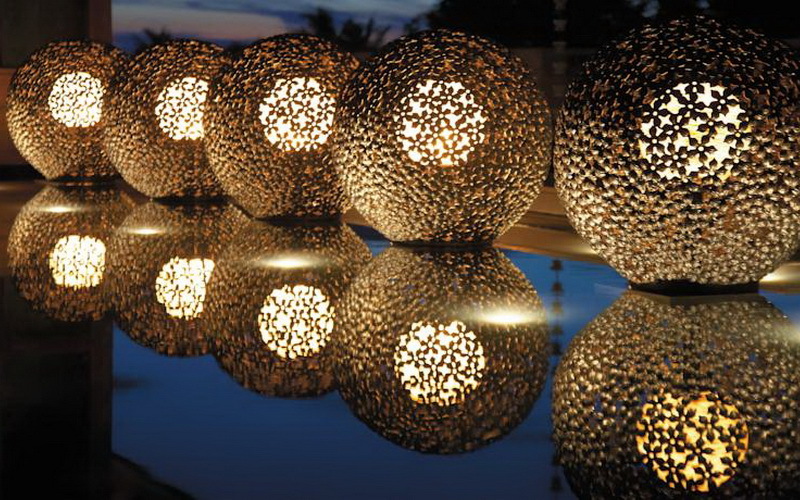 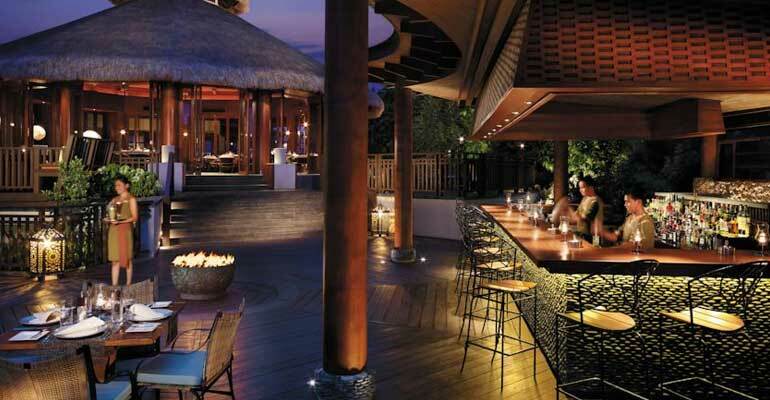 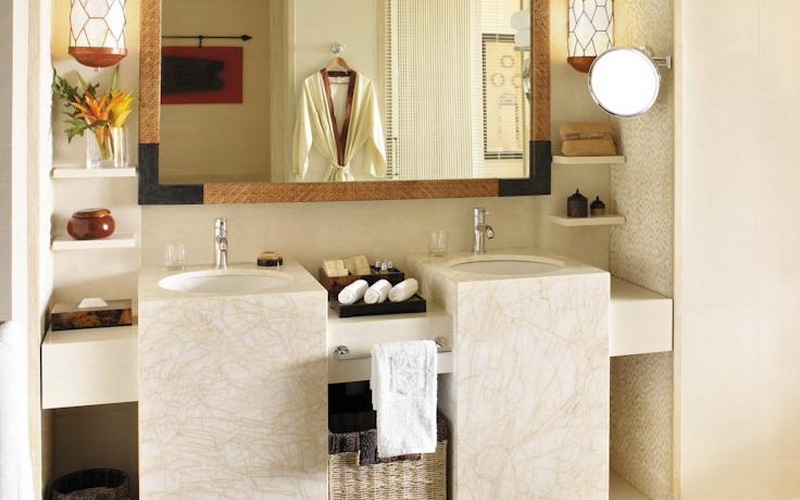 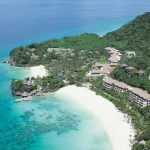 Shangri-La’s Boracay Resort and Spa is a five-star hotel that comprises 219 luxurious and spacious guestrooms and villas, each characterised by a combination of contemporary and indigenous designs. 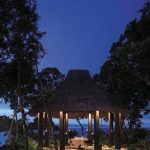 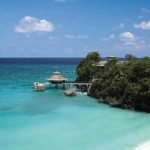 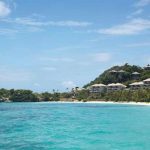 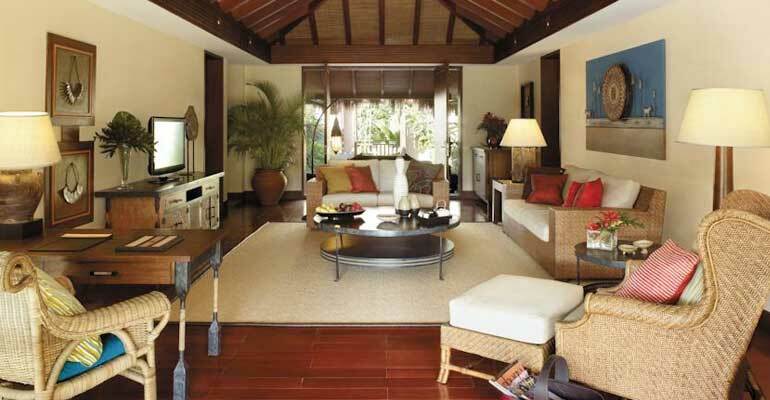 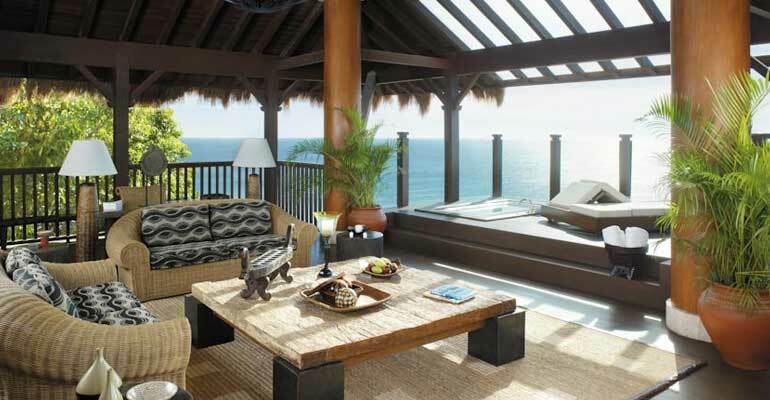 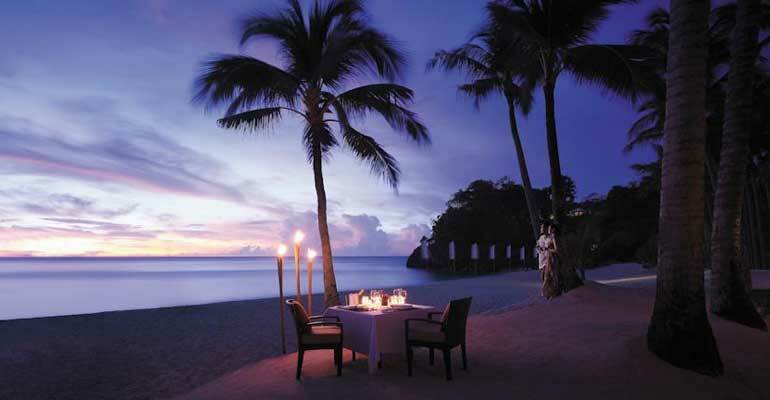 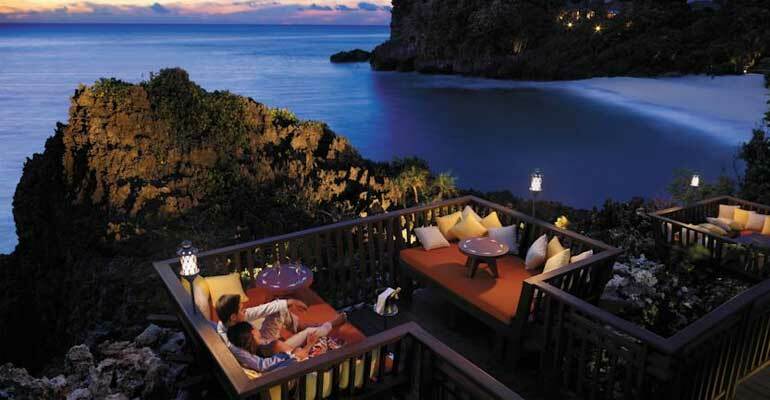 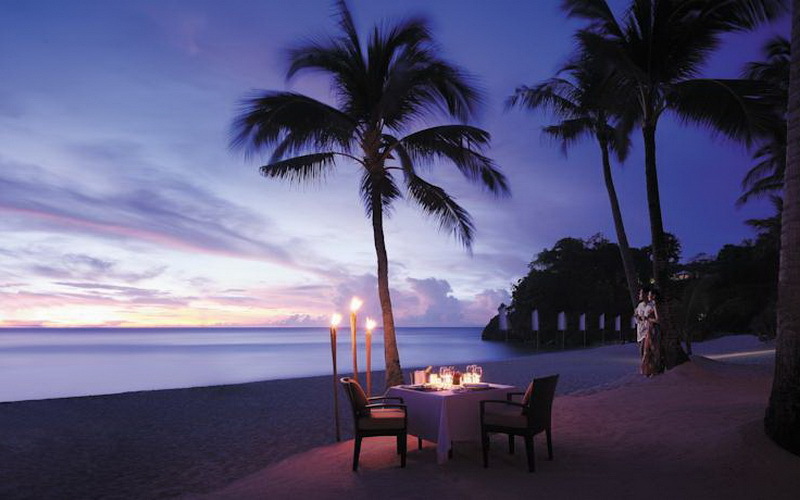 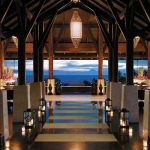 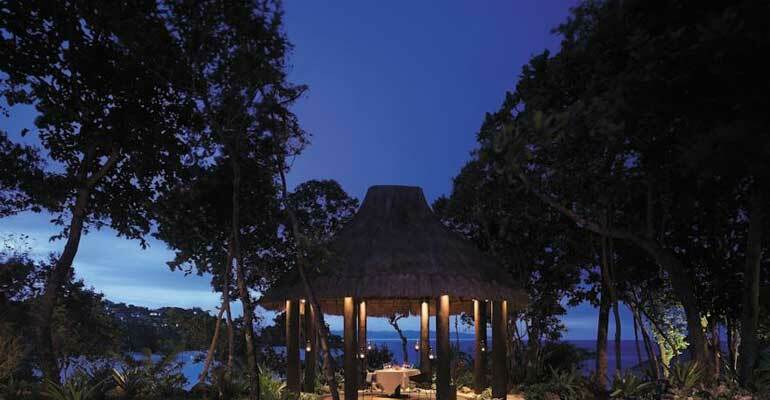 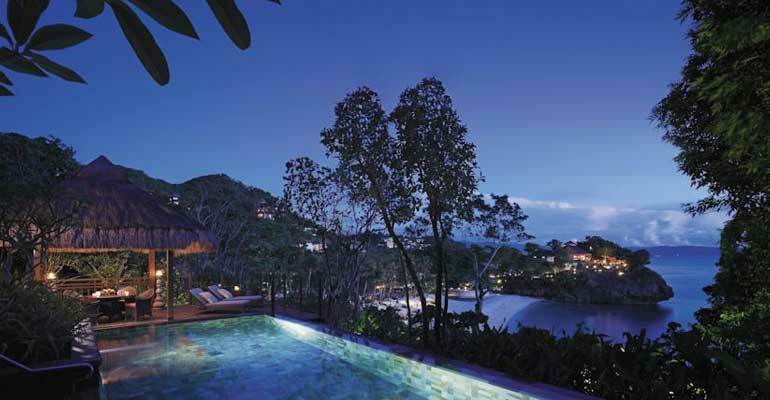 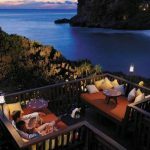 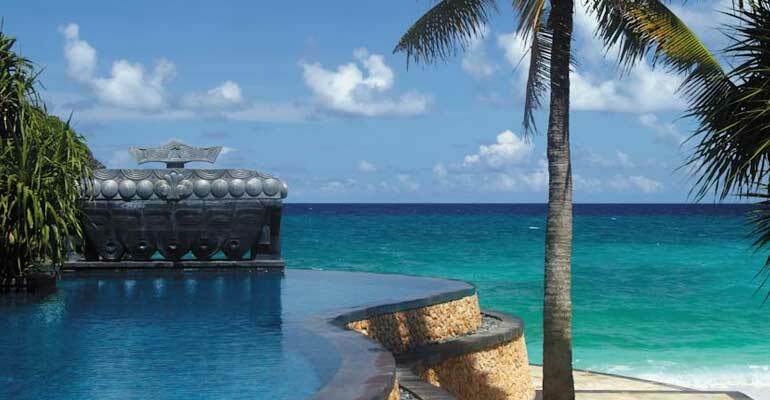 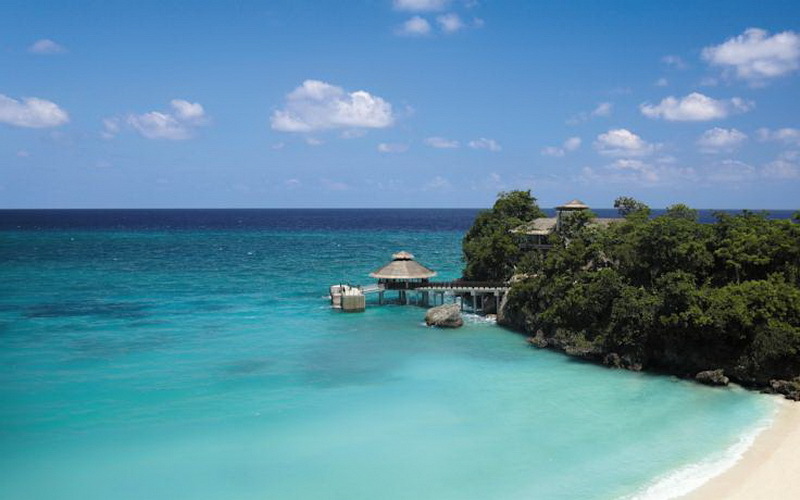 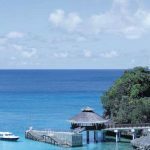 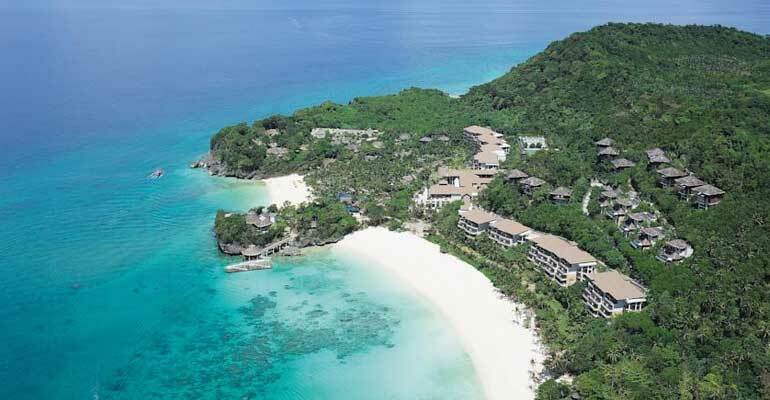 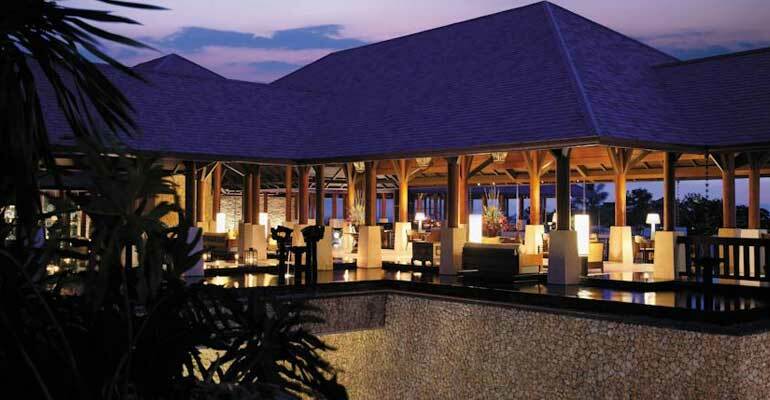 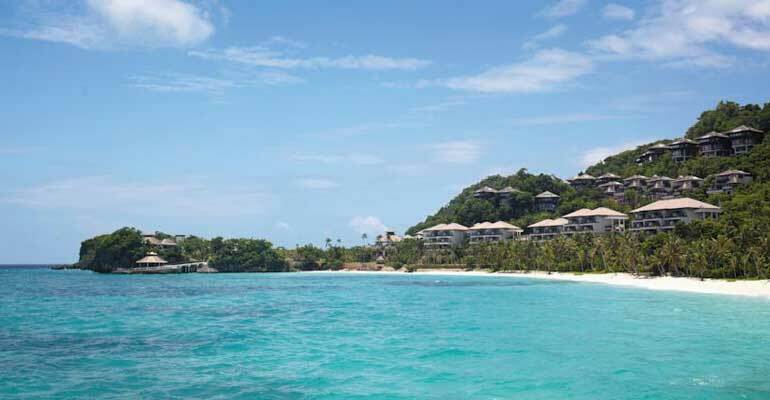 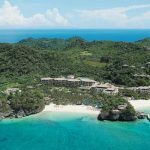 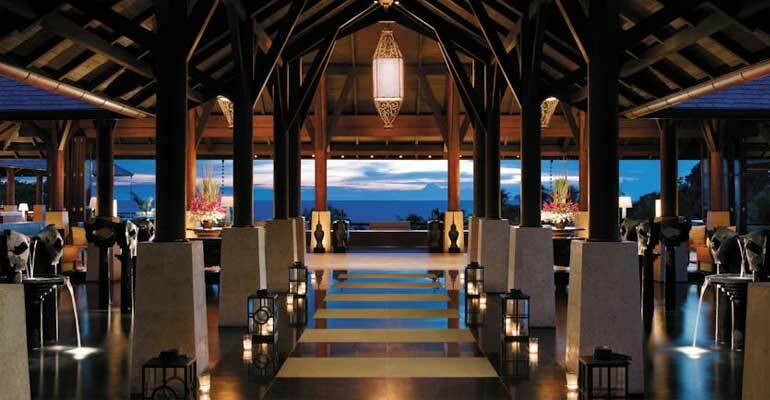 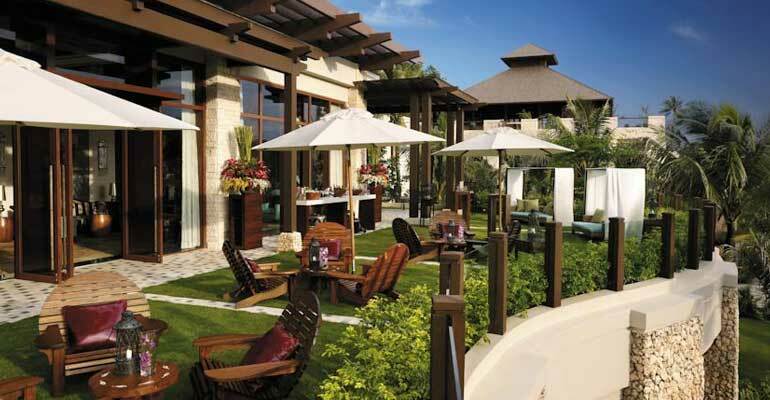 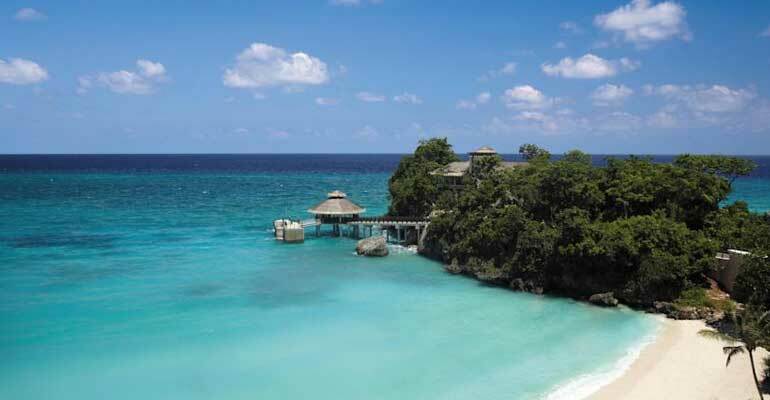 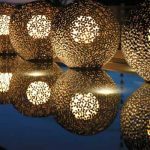 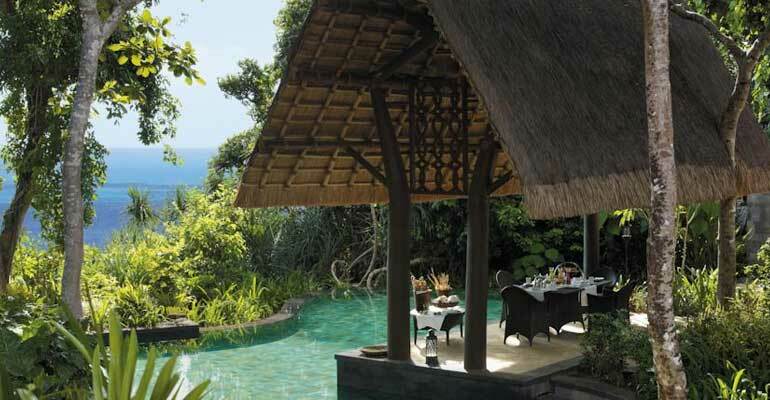 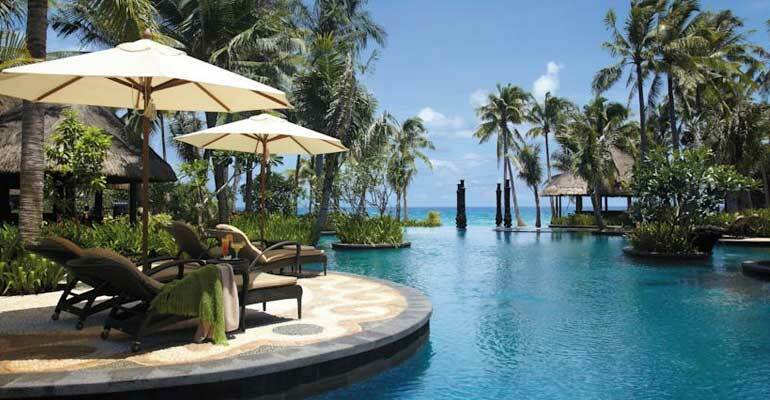 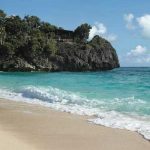 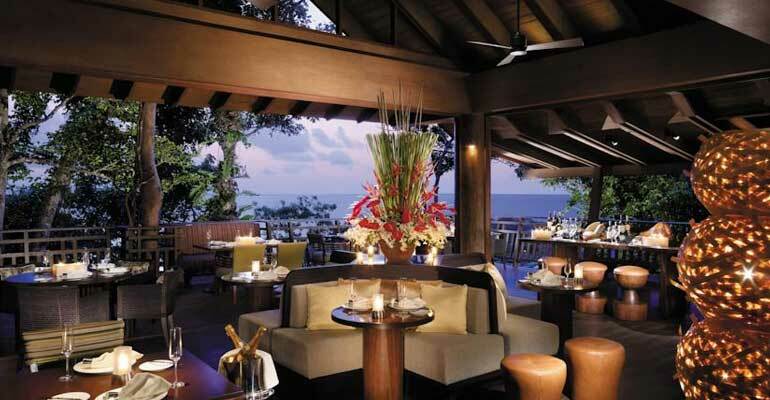 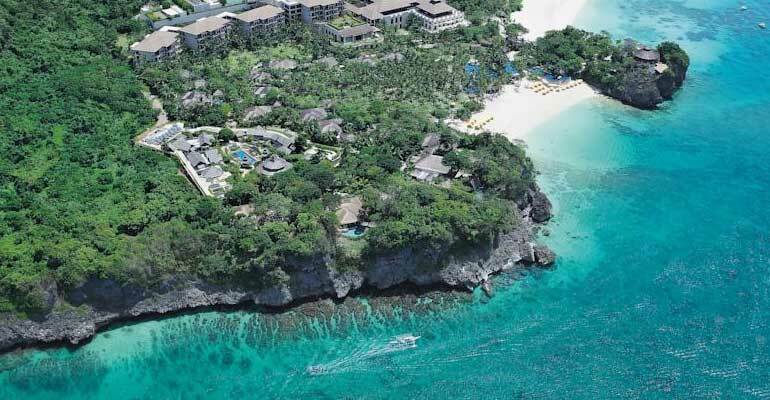 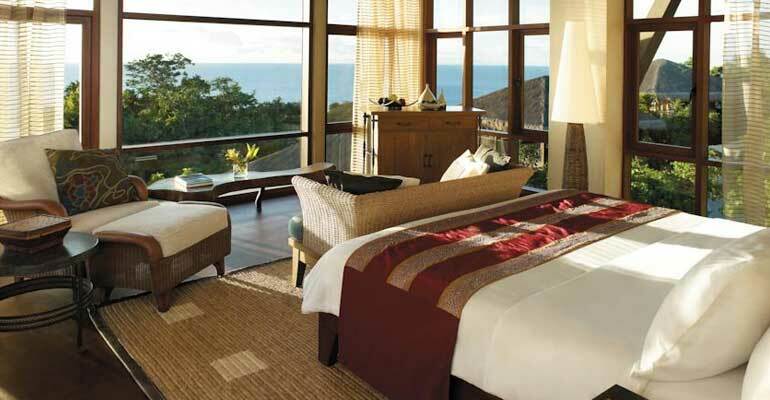 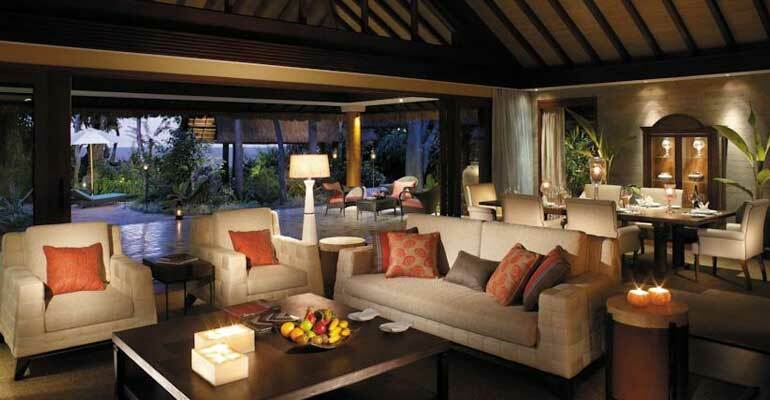 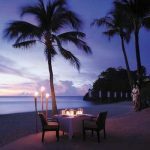 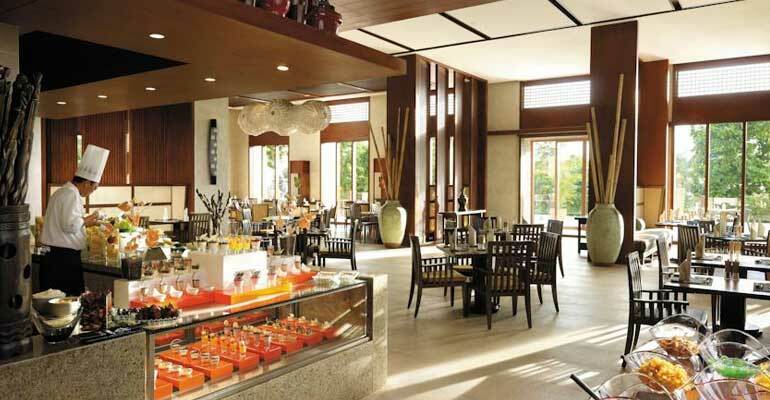 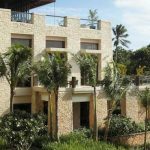 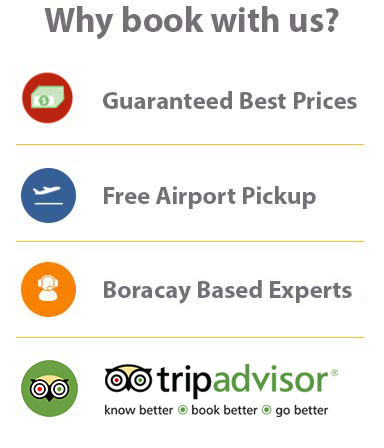 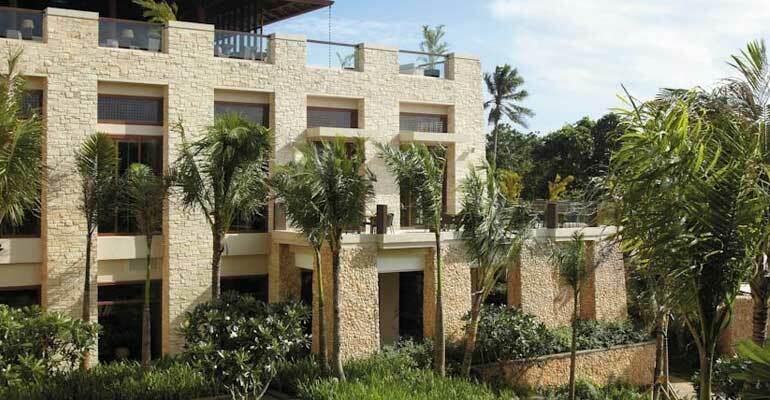 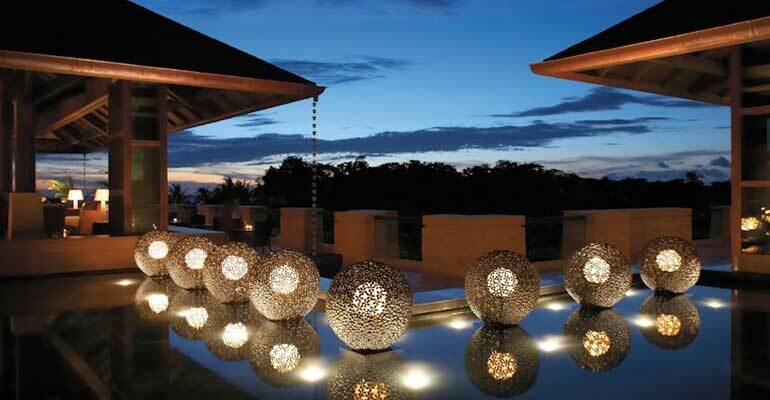 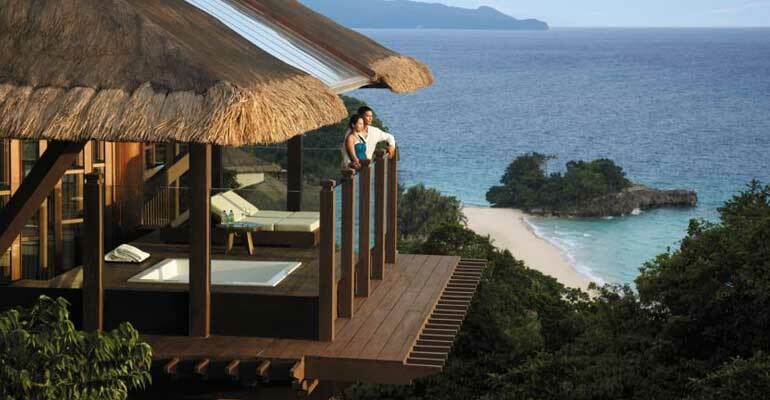 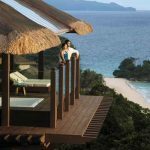 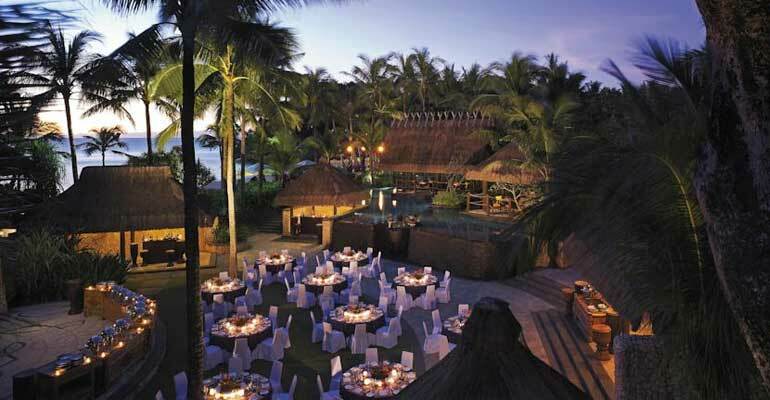 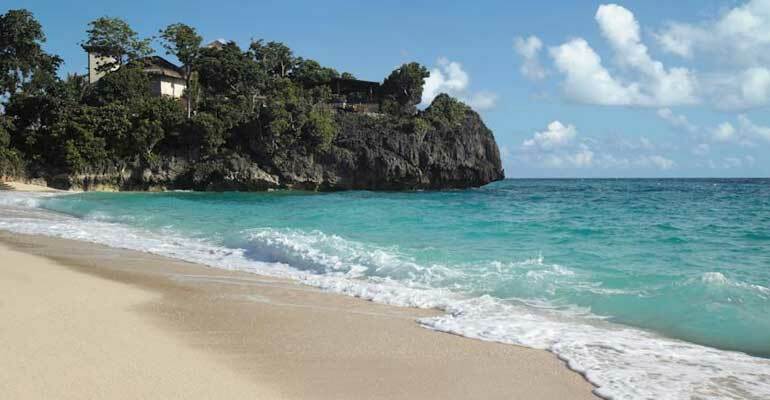 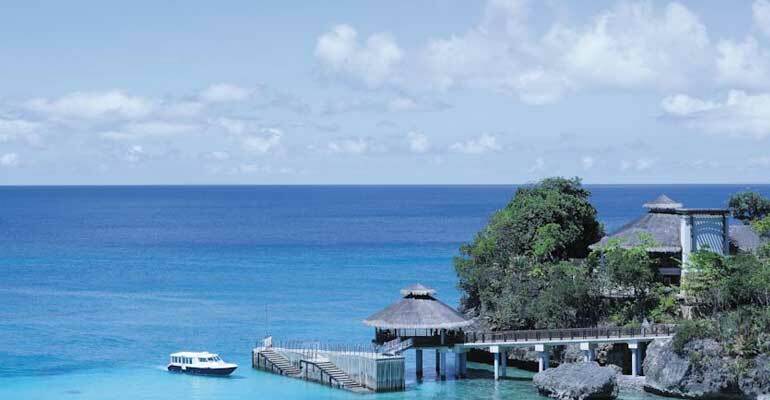 It is situated on a hillside overlooking the ocean at the northern tip of Boracay Island. 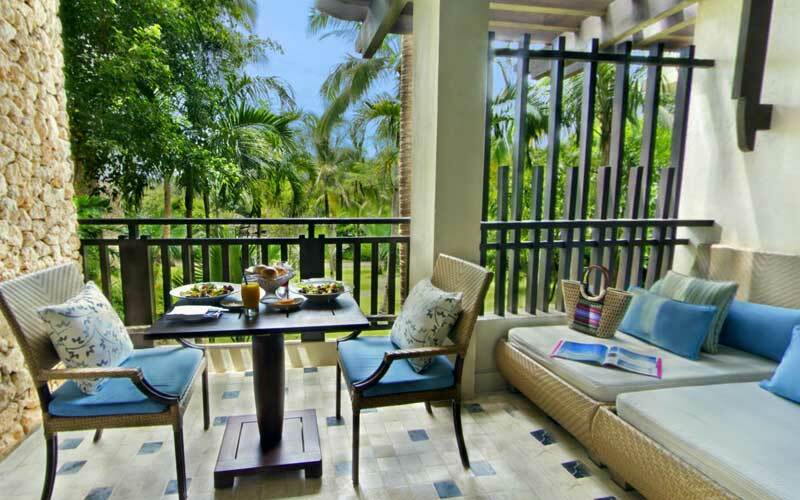 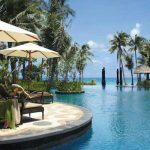 It features 350 square meters immaculate beachfront and 12 hectares of ample gardens. 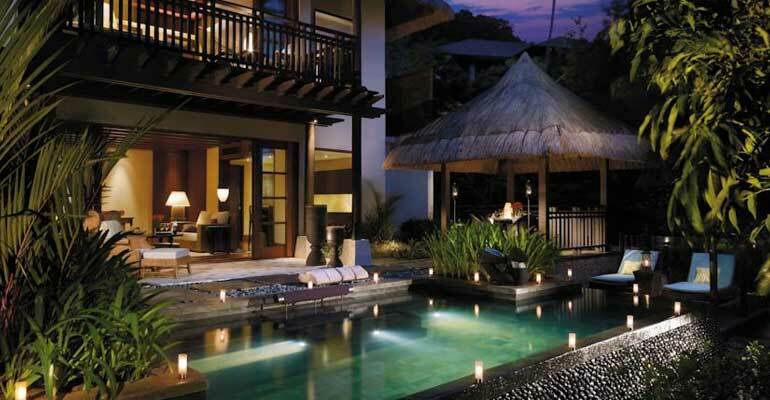 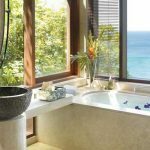 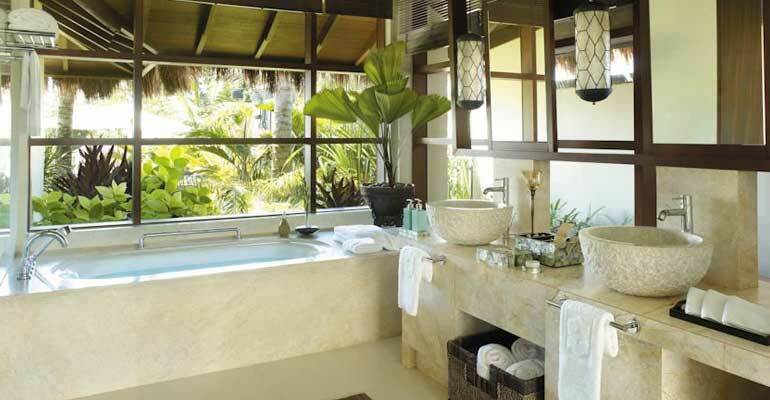 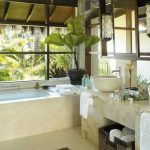 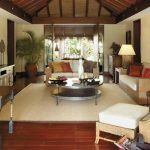 All suites and villas are provided with butler service and luxurious space with private pool except for the unique Tree House Villas, which have outdoor Jacuzzis instead. 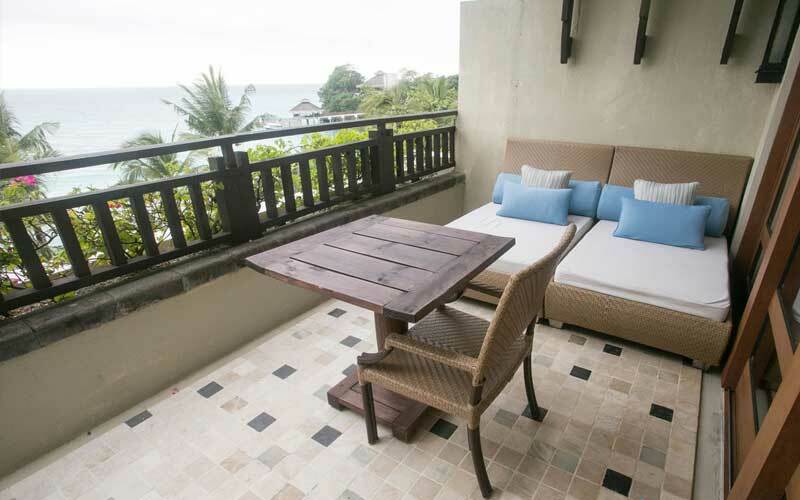 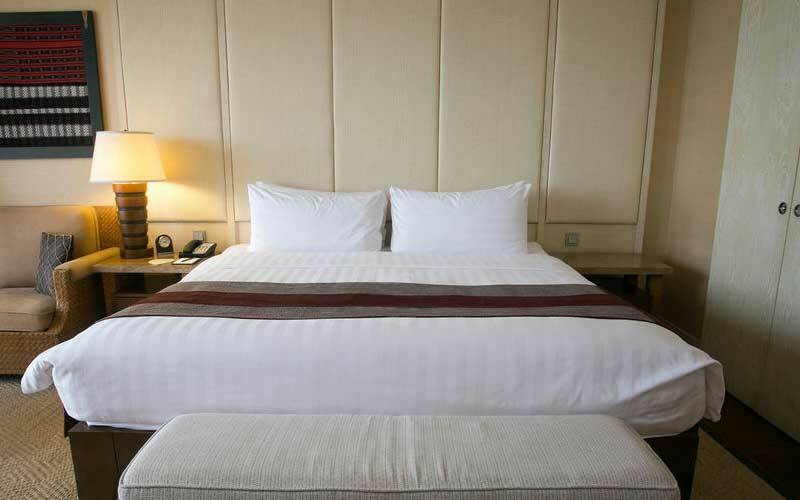 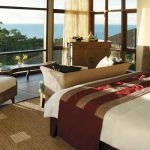 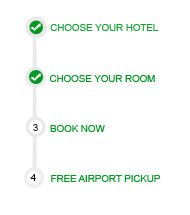 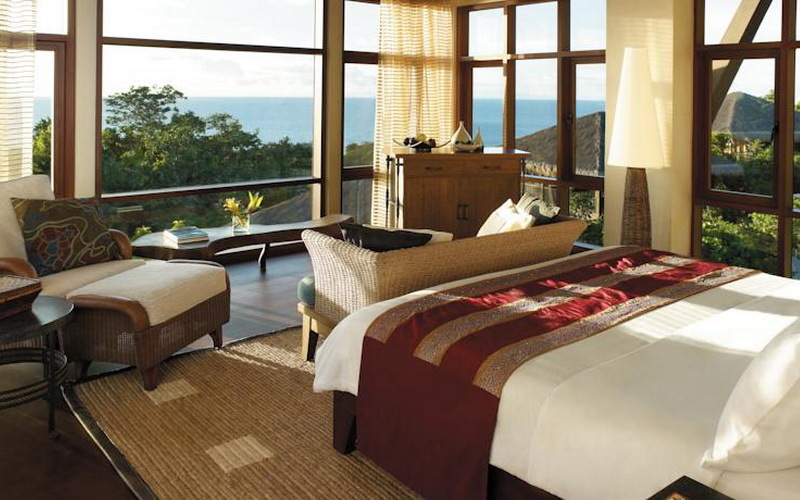 Deluxe Seaview rooms are located on the upper floors with partial views of the sea. 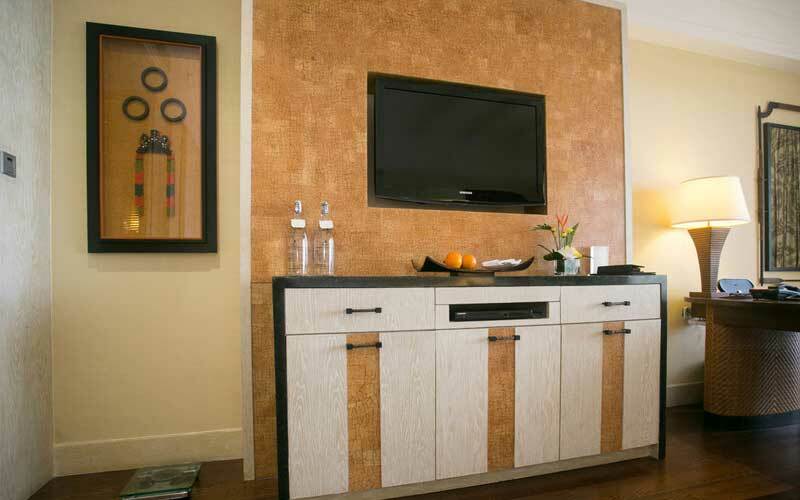 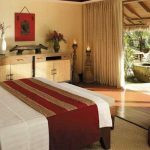 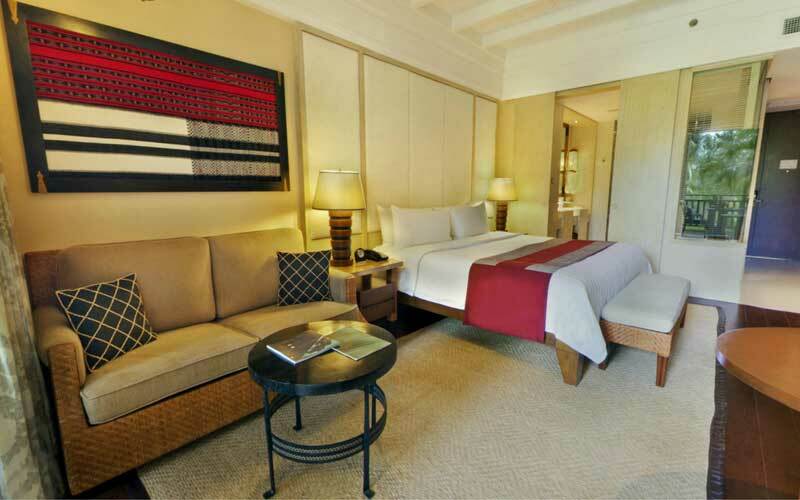 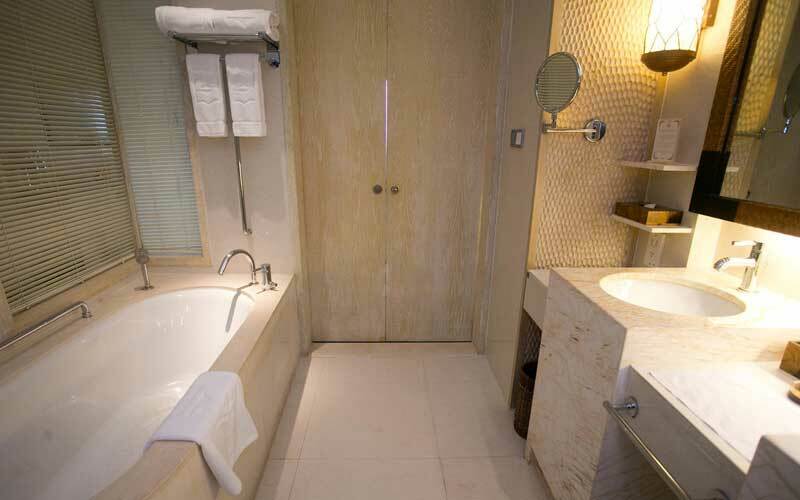 This room features a large Double bed, 37-inch flat-screen TV, DVD player, iPod dock , private balcony with a daybed and marble-floored bathroom with a separate rain shower, bath and toiletries.